BEIJING (AP) — A prominent Chinese human rights lawyer who recently completed a two-year prison sentence on national security charges has returned to his parents’ home in central China after he briefly went missing upon his scheduled release. Jiang Tianyong defended politically sensitive individuals including blind legal activist Chen Guangcheng and followers of the outlawed Falun Gong spiritual group. The 47-year-old former lawyer video-chatted with his wife, Jin Bianling, and their 16-year-old daughter Saturday, Jin said on Twitter over the weekend. She and their daughter live in Los Angeles. Jiang was permitted to go to his parents’ residence in Henan province two days after he was initially released and escorted elsewhere by police, Jin said. Jiang’s sister and father had gone to meet him Thursday upon his release, but were only allowed to see him briefly with state security agents present. Jiang, his sister and father then became unreachable for two days, Jin told The Associated Press last week, saying she feared that they had all been taken into police custody. It wasn’t immediately clear where the three were during those two days. China increasingly places rights defenders and those it considers dissidents under various types of extra-legal detention even after they have served their sentences. 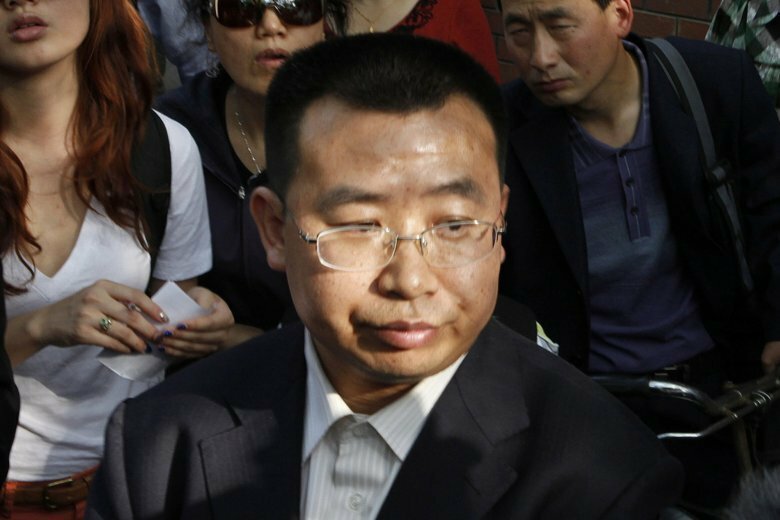 Jiang was sentenced in 2017 to two years in prison for inciting subversion of state power, a vague charge often levied against human rights activists. Prosecutors accused Jiang of using social media platforms to denigrate the government and judicial authorities and said he fabricated a claim that another lawyer had allegedly been tortured in custody.